After such a success with my first pair of Thurlows from Sewaholic I definitely wanted to make more of this fabulous pattern. I also wanted to try a newly discovered fabric spot at Ferriers Fashion Fabric in Adelaide. After being exposed to so many gorgeous fabric stores in Sydney and Melbourne I really wanted to look for smaller stores here in Adelaide that retail different/better quality fabrics. Ferriers came up on this search and since it was only round the corner from work I decided to check it out. If you’ve read my last post you’ll know this was a successful visit since I’ve been back 3 times since! 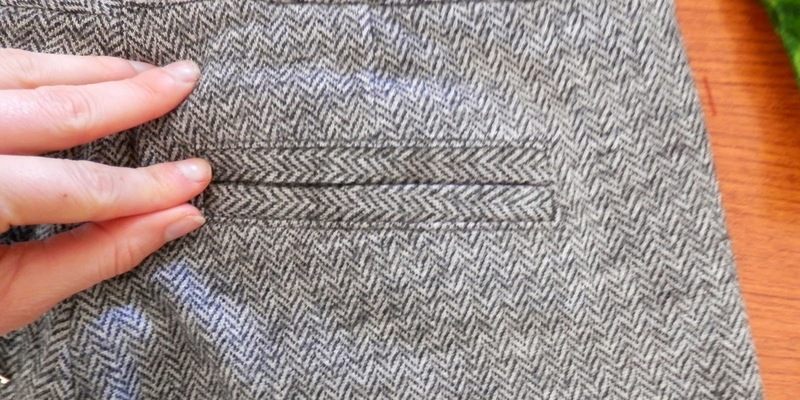 On my first visit I really fell in love with this soft grey herringbone pure wool flannel – I saw a brown version of this fabric at The Fabric Store in Sydney but I wear more grey than brown so I am glad I waited and purchased the grey version instead. What’s that? You like my pants??? The combination of excellent pattern and beautiful fabric was an almost guaranteed success and I am certain that these are going to become a favourite pair of trousers! I top-stitched the back welt pockets this time and I love the finish so will do this again from now on. Welt Topstitch Detail – Oooooh! 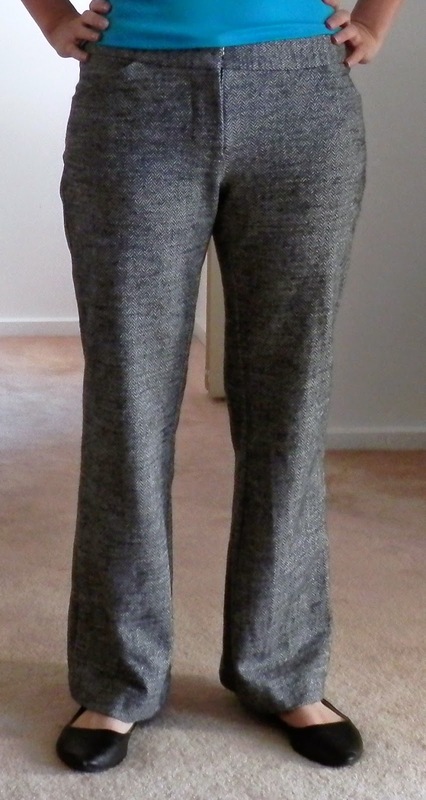 I lined these pants using the left over cotton lawn lining I cut out for my last pair of Thurlows but couldn’t use due to the sheerness of the fabric I was using. Having fun linings and funky buttons always make me happy and isn’t that the point of sewing for yourself? 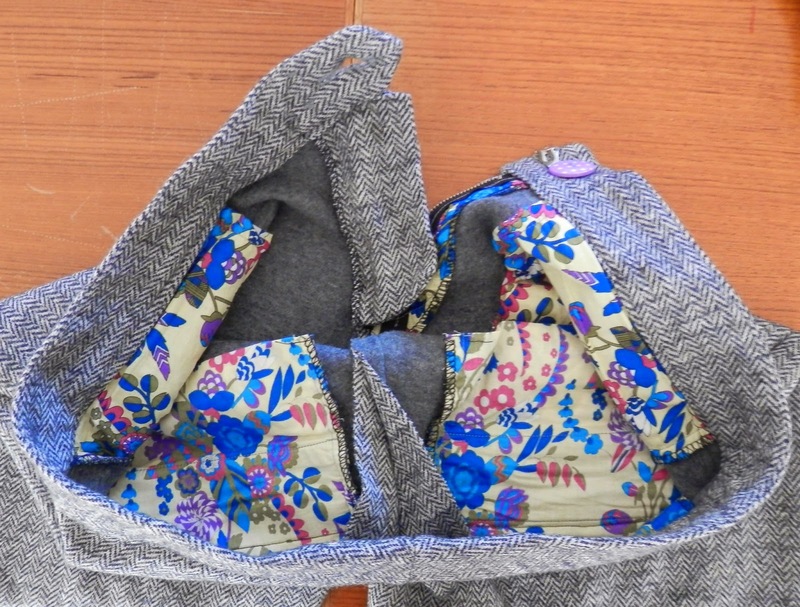 One word of warning – I cut my usual size 4 and sewed a normal back seam allowance which actually produced a pair of pants slightly too big for me. However, I’m extreeeeeemely slack about pre-washing fabric and after the first cold-water wash I found these shrank up quite a lot so they are now the perfect fit. Just something to keep in mind since I’ve rarely worked with 100% wool fabric in the past but I will certainly continue to use it in the future. I once again used the Lladybird tutorial and these came together in just over a day. 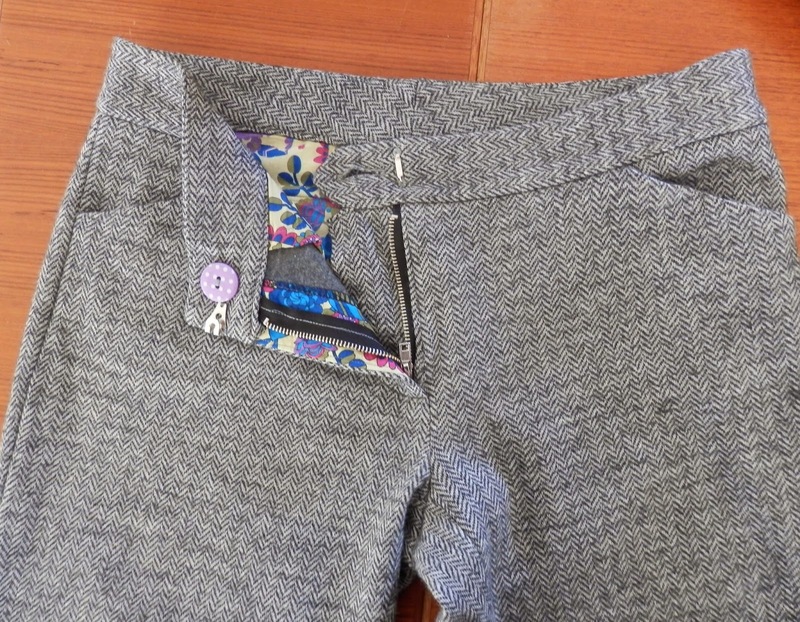 I think this pattern is fast moving to become my TNT pants design – they are constructed beautifully and are easy to fit and wear so wins all around!! And yes – I do have more fabric to make another pair, this time in pin stripe velveteen once again from Ferriers so more Thurlows shall grace my future blog!